I doubt it was changed on my quote as well. My speculation... it's 2013, these railcars won't be needed until 2015-2016. They could solicit bids during the 4th quarter of this year or early 2014. That gives the winning bidder 1-2 years to create a pair of prototype cars for CTA to inspect and make any changes to. I don't think it takes 18 months to put together two railcars with today's modern technology. A few weeks, perhaps months and you have two complete railcars. If it's a new design, it certainly takes longer than that. The existing 5000s didn't get their first prototypes delivered until 2009, and that contract was signed when, 2005 or 2006 (don't have the date off the top of my head)? Toronto's new subway cars were ordered in 2006 and the first one didn't deliver until 2010. Amtrak ordered new railcars in 2010 and the first prototype isn't expected until late this year or early next, and that includes an order for baggage cars, which are arguably the simplest passenger-train-compatible cars you could build (no motors, no seats, no HVAC, no restrooms, etc.). If CTA went with Bombardier and they decided to use the existing 5000-series design (or a very similar design with minimal changes), you could just tack it onto the end of the current order using existing production facilities and practices. Anything else, and you're still talking a 3-4 year minimum lag between contract signing and delivery of the first prototype. As indicated on the home page, Hiklevitch has a story on this, but it refers to "The transit agency this week issued an invitation for bids to manufacturers for new rail cars, which will be called the 7000 Series, CTA president Forrest Claypool said." Frosty doesn't mention that it isn't on the site at the moment. It sort of puts doubt into the rebuilding of the 3200s, too, as we did. I believe the 3200's will get some sort of rehab, but not as extensive as thought. The color LED's would be a waste of money. I think the 3200's could survive their final years with the roller curtains, making them the final series of railcars with roller curtain technology(something IRM may want to consider when their retirement comes around). I also think they'll keep them on D/C technology as it would be a waste of time and funds to upgrade them to A/C technology for nine years tops. ...I also think they'll keep them on D/C technology as it would be a waste of time and funds to upgrade them to A/C technology for nine years tops. The question is whether the current intent is to keep them for a 30 year life (like the 2000s, which only lasted 29), or do extensive modifications to get them to the usual 40. The implication from the article is the former, although that seems to be a waste of good car bodies. Although its not that big of a deal, I hope cta changes the series number from 7000 to 5800 I don't understand why the jump from 5000 to 7000 is necessary. To me it's kind of like they are messing up the "tradition" of the numbering L car fleet, we all know they're going to be comparable with the 5k's, but hey that's just how I feel about it. On a good note though after reading the article I seems as though cta is thinking about changing the seating on the newer series after noting how unpopular they are on the 5000's. Hopefully they'll put the seats back in our Chicago style seating leave the New York style for the New Yorkers lol. ,,, On a good note though after reading the article I seems as though cta is thinking about changing the seating on the newer series after noting how unpopular they are on the 5000's. Hopefully they'll put the seats back in our Chicago style seating leave the New York style for the New Yorkers lol. As I noted above, the specifications formerly on the interweb provided for 3 design concepts, but apparently so did the ones for the 5000s. That's all the article is saying. The quotes I've seen on the Tribune site and ABC7Chicago say by 2022, the CTA wants the rail fleet to average less than 10 years of age. That quote tells me they will retire the 3200's by 2022(30th year of life for most). I heard a report on WBBM 780 about the bids for the 7000-Series railcars coming and heard something about why not number them the 6000-Series. I have searched the webpage to no avail for that story there. Maybe it'll show up later. Why is this capital-starved agency giving up on rebuilding 3200's into 5000-clones ? -They also say this series could allow rail fleet expansion for projects like the 130th Red Line extension. Maybe they're thinking they'll recycle those fleet numbers as bus fleet numbers as they've done with the 1000 series numbers, which some the lower numbers used to be assigned to fishbowls I believe, and the numbers assigned to both models of artics, out of which 4000-4207 and 4300-4361 used to belong to CTA Americanas. The CTA Tattler found the Press Release on this. So, apparently it is no secret. Maybe the reason the requisition was withdrawn was that they knew that Bombardier and maybe Alstom already had it, and most of them were being downloaded to the membership here. The 7000 series purchase will allow for continuous replacement of CTA’s aging rail fleet—departing from past practice of waiting as much as 20 years between rail car orders. The CTA anticipates the new 7000 series cars will begin arriving shortly after the last 5000 is delivered. If they go through with this and retire all the 3200s by 2022, and the 5000s won't age out until 2040, you will wind up waiting roughly 20 years between rail car orders again. Of course, today's politicans won't be around by then, so who cares. And by then the cost will be $10 billion and those politicians won't have the money. Awful long time to ask for redress from the longitudinal seats. CTA will also have to buy a whole mess of buses starting in about 2018 through 2021. The IFP is back, with more red stuff. Different link this time. For compatibility, don't the 7000's have to be of the same electrical manufacturer as the 5000's ? On NYCT R160's, Alstom, Kawasaki,and Siemens cars cannot MU due to proprietary software licensing issues. Same difference between an R142 and R142A, and the Kawaski R143, which cannot MU with a Kawaski R160. D/C technology is no longer an option for railcars, so all future orders will be A/C technology. CTA originally wanted the 5000-Series to be D/C, but couldn't. Manufacturer of electrical components don't matter... Budd(2200's), Boeing-Vertol(2400's) Budd/TA(2600's) and Morrison-Knudsen(3200's) can all train together, and most or all probably have different electical components. These look like the motors. GE to me sounds like they are all manufactured by General Electric. The 2400's and 2600's have the same exact motor. The 3200's are slightly different as evidenced by the number at the end, but all are trainable with each other. Software can be made to work together through patches and updates. I'm sure computer tech-savvy people have found a way to make Apple products work on a PC, as an example. As I noted before, the requisition uses performance specs. The propulsion system is described on page 353 and following. The contractor is responsible for the integration of all components in the propulsion system. I certainly am not an electrical engineer, and thus while there does not appear to be an explicit direction that the propulsion system be compatible with the 5000s, maybe the functional description has that result. If you have greater expertise, you may want to play newport and download the solicitation. In any event, if the specs are such that a certain software license is required, obviously someone can't successfully bid if they can't get the license. In that regard, my impression from the Internet is that some NY equipment uses competitors' motors (i.e. a Bombardier motor in an Alstom assembled car). Do you have any further information on that? sw4400: It is not so much an electrical compatibility, but software clashing. These new fangled trains are rolling CPU's. For example, you can't run (IBM)Lotus-123 on Windows 7. If you try to mix a consist as below, the 2nd 5 car set will not show in the CRT console in the motorman's cab. H) Alstom-built 5-car units, Alstom Onix propulsion, Option I R-160A-2s 9233-9592 (360) @ Jamaica. Cars in groups B, C and F are being intermixed in train consists. Its a good bet these two groups will also intermix. Groups D and E cannot intermix with other groups. The exact disposition of Option II is still not clear, though there will be 16 Alstom-built 4-car R-160A-1 units for East New York. Last I knew. will probably have Alstom propulsion. Looking at Addendum 1, the prebid meeting elicited interest from all over the place, including assemblers Alstom, Breda, Bombardier, CAF (USA), Kawasaki, Nippon Sharyo/Sumitomo, Siemens,Woojin Is (Korean). The usual consultants (Art Peterson, Transit Associates, which last time signed in as BYD) also appeared, but no appearance for Millennium Transit. The transcript indicates that the base and 4 options are to replace the 2600s. Options 5 and 6 of 256 cars are supposed to replace the 256 3200s, and the last options (190 cars) are for growth. Since base through Option 4 consists of 400 cars, one can assume that only 200 2600s are replaced by 5000s, so make your conclusions about car allocations from that. According to the chief rail engineer, he wants LCD screens for the active maps and passenger counters and DOES NOT want the "dusky walnut beige and tan" interiors. He seems more open to a different seating arrangement, but then, why was CTA bullheaded about the one on the 500 or so 5000s to come? *You will remember my comment a while back that why can't CTA learn how to make a pdf from a Word document; they apparently partially have. why was CTA bullheaded about the one on the 500 or so 5000s to come? I thought this was already explained some time ago. Doing so would require a costly redesign of car components, since a lot of stuff was designed to be in the space underneath the seats on the 5000s. Even if we buy the "car component" explanation,* still does not explain why they the are continuing with the "dusky walnut beige and tan" 1970s decor, which the head engineer all the sudden claims he doesn't want. All the Jan. 2008 alternatives had longitudinal seating, but at least not this ancient, and not with skinny buttocks bowls. *And Claypool's explanation was more car structure, according to the Aug. 28, 2012 Tribune. But the engineer said that this time he wants cantilevered seats. You're assuming that the current chief rail engineer is the same guy who was around when the 5000s were designed. No, I'm not. Besides chicago-l,org indicating that this wasn't the first design, but that 2x2 was originally specified, at least for the 3500s,* there have been two change orders since whoever rejected the two alternatives in Jan. 2008, including the first change order including the "sanitary inserts." I'm also not assuming that there are already 19,000 seats in the pipeline for the next 500 cars. same as the 3200-series with a few upgrades. Here's a little more info on the yet-to-be built 7000-Series. 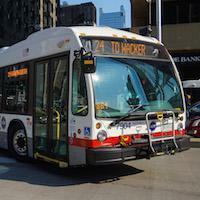 CTA is expected to begin taking delivery in 2016. These cars are said to be able to couple with 2600-Series, 3200-Series and 5000-Series railcars, but will only be able to trainline and operate in a train consist with 5000-Series railcars. The 7000-Series will continue to be a part of the new family of railcars started with the 5000-Series. These railcars will replace the remaining 400 2600-Series railcars built in the mid to late 1980's and the 3200-Series railcars built from 1991-1994, bringing the average age of railcars to under 10 years by 2022. The remainder will allow for fleet and system expansion if ridership warrants. If all options are exercised, the value of this contract is estimated to be over $2 billion. The Base Order would be paid for with Federal Money and CTA Bond Proceeds already in place when the IFB was issued. The remainder will be paid for with future Federal & State Money as it becomes available, as well as future Bond Proceeds.